Hans Albrecht Bethe (* 2'ê tîrmehê 1906 li Straßburg; † 6'ê adarê 2005 li Ithaca, federedewleta New Yorkê) fîzîknasekî alman-amerîkan (DYA) bû û sala 1967'ê xelata Nobel a fîzîkê wergirt. Sala 1928'ê li zanîngeha Münchenê pewerdeya bilind bidawî dike. Di salên 1930'yî de, dema Nazî bihêz dibin, ji Ewropayê bar dike, li DYA'yê bicih dibe. Sala 1935'ê li zanîngeha Cornellê wekî profesorê fîzîkê dersdariyê dike. Di heman demê de li ser enerjiya rojê û ya fuzyonê lêkolînan dike. Dibe birêveberê xebata vedîtina bombeya atomê ya li Los Alasmosê. Piştî şerê cîhanê yê II. Bethe bi tevî Edward Teller li ser bombeya [hîdrojen]]ê dixebite. Ji sala 1956 heya 1964'ê wekî şêwirmendê serokdewlet di komîteya şêwirmendiyê de kar dike. 1958'ê tevlî çalakiyên xwebêçekkirinê dibe, li dijî bikaranîna bombeyên nukleerî derdikeve. Sala 1975'ê ji zanîngeha Cornellê malnişînî dibe. Jeremy Bernstein: Bethe. Prophet der Energie - Bethe. Pêxemberê enerjiyê. Hirzel, Stuttgart 1988, ISBN 3-7776-0442-9. Gerald E. Brown: Hans Bethe and his physics - Hans Bethe û fîzîka wî. World Scientific Books, New Jersey, N.J. 2006, ISBN 981-256-610-4. Robert E. Marshak (Hrsg. ): Perspectives in modern physics. 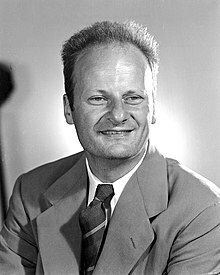 Essays in honour of Hans A. Bethe on the occasion of his 60th birthday. Interscience Publications, New York 1966 (u.a. Aufsätze von Robert Bacher und Victor Weisskopf zu Bethes Karriere bis dahin). Silvan S. Schweber: In the shadow of the bomb. Bethe, Oppenheimer and the moral responsability of scientists. University Press, Princeton, N.J. 2000, ISBN 0-691-12785-9. Physics Today, 58. Jg. (2005), Kewçêr (nivîsên cuda li ser Bethe, ji Gerald E. Brown, Freeman Dyson, Richard L. Garwin, Kurt Gottfried, John Negele û Silvan S. Schweber). Ev rûpel cara dawî 29 avrêl 2013, seet li 16:09an de hatiye guherandin.